Visual hallucinations (VH) are a core clinical feature of dementia with Lewy bodies (DLB), but their specific neural substrate remains elusive. We used 18F-FDG-PET to study the neural dysfunctional signature of VH in a group of 38 DLB patients (mean age±sd 72.9±7.5) with available anamnestic records, cognitive and neurological examination and NeuroPsychiatric Inventory assessing VH. We tested the voxel-wise correlation between 18F-FDG-PET hypometabolism and VH NPI scores at the whole-group level, then adopting inter-regional correlation analysis to explore the resting-state networks (RSNs) metabolic connectivity in DLB patients with and without visual hallucinations, as compared to N=38 age-matched healthy controls (HCs) (mean age±sd 71.5±6.9). At the whole-group level, we found a negative correlation between VH NPI scores and 18F-FDG-PET hypometabolism in the right occipito-temporal cortex (p<0.001 uncorrected, p<0.05 Family-Wise Error cluster-corrected). Then, splitting the group according to VH presence, we found that DLB non-hallucinators presented a pattern of connectivity seeding from this occipito-temporal cluster and extending to the ventral visual stream. 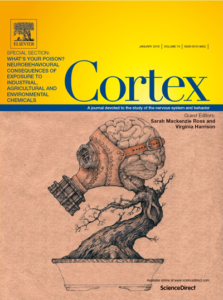 At difference, the DLB hallucinators showed a metabolic connectivity pattern limited to the occipital-dorsal parietal regions. As for RSNs, both the DLB subgroups showed a markedly reduced extent of attentional and visual networks compared to HCs, with a variable alteration in the topography. DLB-VH patients showed a more pronounced shrinkage of the primary visual network, which was disconnected from the higher visual hubs, at difference with both HC and DLB non-hallucinators. 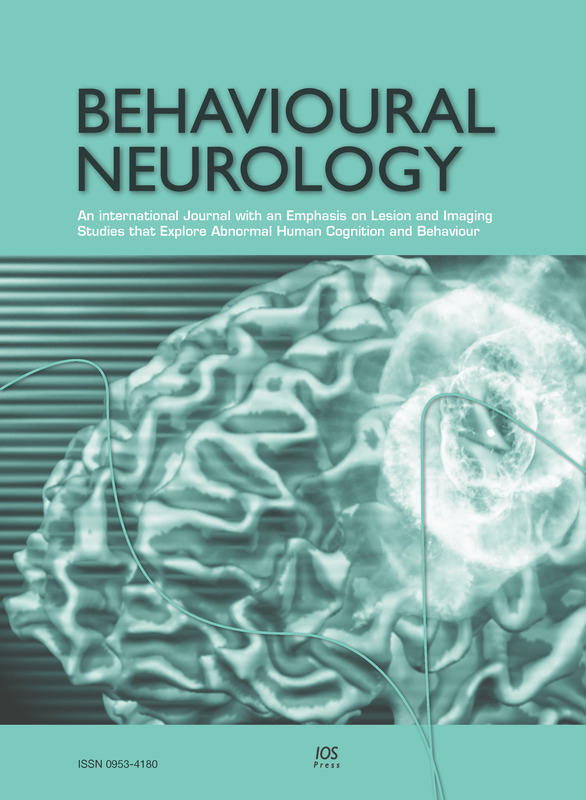 These findings suggest that an altered brain metabolic connectivity within and beyond visual systems may promote VH in DLB. These results support the most recent neurocognitive models interpreting VH as the result of an inefficient recruitment of the ventral visual stream and of a large-scale multi-network derangement. Importance The ability to predict the pathology underlying different neurodegenerative syndromes is of critical importance owing to the advent of molecule-specific therapies. 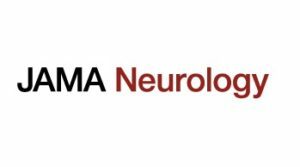 Objective To determine the rates of positron emission tomography (PET) amyloid positivity in the main clinical variants of primary progressive aphasia (PPA). 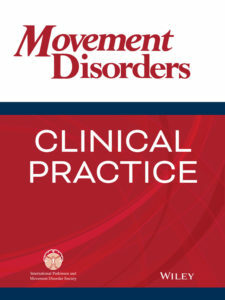 Design, Setting, and Participants This prospective clinical-pathologic case series was conducted at a tertiary research clinic specialized in cognitive disorders. Patients were evaluated as part of a prospective, longitudinal research study between January 2002 and December 2015. Inclusion criteria included clinical diagnosis of PPA; availability of complete speech, language, and cognitive testing; magnetic resonance imaging performed within 6 months of the cognitive evaluation; and PET carbon 11–labeled Pittsburgh Compound-B or florbetapir F 18 brain scan results. 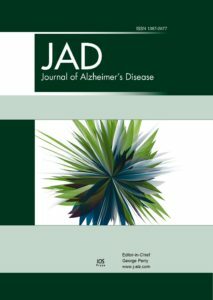 Of 109 patients referred for evaluation of language symptoms who underwent amyloid brain imaging, 3 were excluded because of incomplete language evaluations, 5 for absence of significant aphasia, and 12 for presenting with significant initial symptoms outside of the language domain, leaving a cohort of 89 patients with PPA. 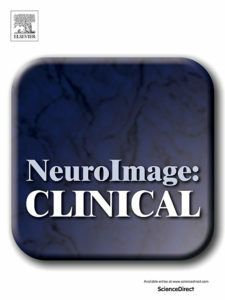 Main Outcomes and Measures Clinical, cognitive, neuroimaging, and pathology results. Results Twenty-eight cases were classified as imaging-supported semantic variant PPA (11 women [39.3%]; mean [SD] age, 64  years), 31 nonfluent/agrammatic variant PPA (22 women [71.0%]; mean [SD] age, 68  years), 26 logopenic variant PPA (17 women [65.4%]; mean [SD] age, 63  years), and 4 mixed PPA cases. Twenty-four of 28 patients with semantic variant PPA (86%) and 28 of 31 patients with nonfluent/agrammatic variant PPA (90%) had negative amyloid PET scan results, while 25 of 26 patients with logopenic variant PPA (96%) and 3 of 4 mixed PPA cases (75%) had positive scan results. The amyloid positive semantic variant PPA and nonfluent/agrammatic variant PPA cases with available autopsy data (2 of 4 and 2 of 3, respectively) all had a primary frontotemporal lobar degeneration and secondary Alzheimer disease pathologic diagnoses, whereas autopsy of 2 patients with amyloid PET–positive logopenic variant PPA confirmed Alzheimer disease. One mixed PPA patient with a negative amyloid PET scan had Pick disease at autopsy. 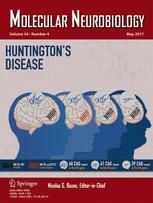 Conclusions and Relevance Primary progressive aphasia variant diagnosis according to the current classification scheme is associated with Alzheimer disease biomarker status, with the logopenic variant being associated with carbon 11–labeled Pittsburgh Compound-B positivity in more than 95% of cases. 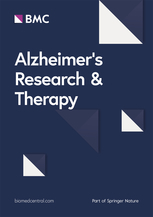 Furthermore, in the presence of a clinical syndrome highly predictive of frontotemporal lobar degeneration pathology, biomarker positivity for Alzheimer disease may be associated more with mixed pathology rather than primary Alzheimer disease. The reference standard for spatial normalization of brain positron emission tomography(PET) images involves structural Magnetic Resonance Imaging (MRI) data. However, the lack of such structural information is fairly common in clinical settings. This might lead to lack of proper image quantification and to evaluation based only on visual ratings, which does not allow research studies or clinical trials based on quantification. 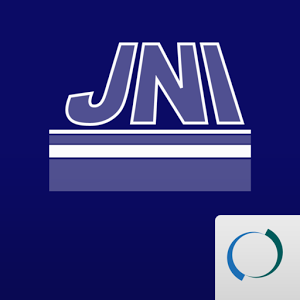 PET/CT systems are widely available and CT normalization procedures need to be explored. Here we describe and validate a procedure for the spatial normalization of PETimages based on the low-dose Computed Tomography (CT) images contextually acquired for attenuation correction in PET/CT systems. We included N = 34 subjects, spanning from cognitively normal to mild cognitive impairment and dementia, who underwent amyloid-PET/CT (18F-Florbetaben) and structural MRI scans. The proposed pipeline is based on the SPM12 unified segmentation algorithm applied to low-dose CT images. 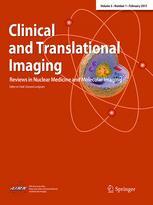 The validation of the normalization pipeline focused on 1) statistical comparisons between regional and global 18F-Florbetaben-PET/CT standardized uptake value ratios (SUVrs) estimated from both CT-based and MRI-based normalized PET images (SUVrCT, SUVrMRI) and 2) estimation of the degrees of overlap between warped gray matter (GM) segmented maps derived from CT- and MRI-based spatial transformations. We found negligible deviations between regional and global SUVrs in the two CT and MRI-based methods. SUVrCT and SUVrMRI global uptake scores showed negligible differences (mean ± sd 0.01 ± 0.03). Notably, the CT- and MRI-based warped GM maps showed excellent overlap (90% within 1 mm). The proposed analysis pipeline, based on low-dose CT images, allows accurate spatial normalization and subsequent PET image quantification. A CT-based analytical pipeline could benefit both research and clinical practice, allowing the recruitment of larger samples and favoring clinical routine analysis. Iaccarino, L., Sala, A., Caminiti SP. & Perani D.
A compelling need in the field of neurodegenerative diseases is the development and validation of biomarkers for early identification and differential diagnosis. 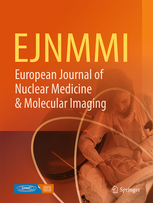 The availability of positron emission tomography (PET) neuroimaging tools for the assessment of molecular biology and neuropathology has opened new venues in the diagnostic design and the conduction of new clinical trials. 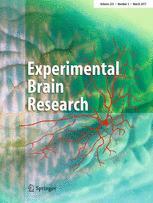 PET techniques, allowing the in vivo assessment of brain function and pathology changes, are increasingly showing great potential in supporting clinical diagnosis also in the early and even preclinical phases of dementia. This review will summarize the most recent evidence on fluorine-18 fluorodeoxyglucose-, amyloid -, tau -, and neuroinflammation – PET tools, highlighting strengths and limitations and possible new perspectives in research and clinical applications. Appropriate use of PET tools is crucial for a prompt diagnosis and target evaluation of new developed drugs aimed at slowing or preventing dementia. Cerami C., Iaccarino, L., Perani D.
Postmortem studies reported significant microglia activation in association with neuronal apoptosis in Fatal Familial Insomnia (FFI), indicating a specific glial response, but negative evidence also exists. An in vivo study of local immune responses over FFI natural course may contribute to the understanding of the underlying pathogenesis. We included eight presymptomatic subjects (mean ± SD age:44.13 ± 3.83 years) carrying the pathogenic D178N-129met FFI mutation, one symptomatic patient (male, 45 yrs. old), and nine healthy controls (HC) (mean ± SD age: 44.00 ± 11.10 years.) for comparisons. 11C-(R)-PK11195 PET allowed the measurement of Translocator Protein (TSPO) overexpression, indexing microglia activation. A clustering algorithm was adopted to define subject-specific reference regions. Voxel-wise statistical analyses were performed on 11C-(R)-PK11195 binding potential (BP) images both at the group and individual level. The D178N-129met/val FFI patient showed significant 11C-(R)-PK11195 BP increases in the midbrain, cerebellum, anterior thalamus, anterior cingulate cortex, orbitofrontal cortex, and anterior insula, bilaterally. Similar TSPO increases, but limited to limbic structures, were observed in four out of eight presymptomatic carriers. The only carrier with the codon 129met/val polymorphism was the only one showing an additional TSPO increase in the anterior thalamus. In comparison to nonprion neurodegenerative diseases, the observed lack of a diffuse brain TSPO overexpression in preclinical and the clinical FFI cases suggests the presence of a different microglia response. The involvement of limbic structures might indicate a role for microglia activation in these key pathologic regions, known to show the most significant neuronal loss and functional deafferentation in FFI. 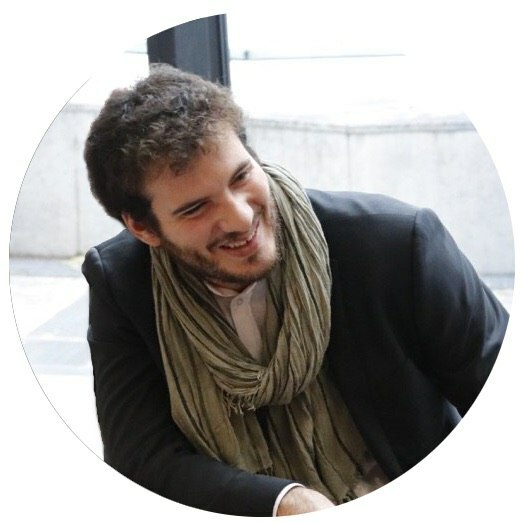 Iaccarino, L., Moresco, RM., Presotto, L., Bugiani, O., Iannaccone, S., Giaccone, G., Tagliavini, F. and Perani, D.
Microgliosis is part of the immunobiology of Creutzfeldt-Jakob disease (CJD). 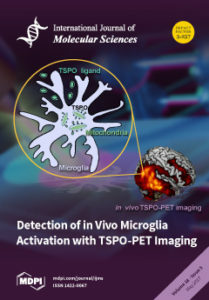 This is the first report using 11C-(R)-PK11195 PET imaging in vivo to measure 18 kDa translocator protein (TSPO) expression, indexing microglia activation, in symptomatic CJD patients, followed by a postmortem neuropathology comparison. One genetic CJD (gCJD) patient, two sporadic CJD (sCJD) patients, one variant CJD (vCJD) patient (mean ± SD age, 47.50 ± 15.95 years), and nine healthy controls (mean ± SD age, 44.00 ± 11.10 years) were included in the study. TSPO binding potentials were estimated using clustering and parametric analyses of reference regions. Statistical comparisons were run at the regional and at the voxel-wise levels. Postmortem evaluation measured scrapie prion protein (PrPSc) immunoreactivity, neuronal loss, spongiosis, astrogliosis, and microgliosis. 11C-(R)-PK11195-PET showed a significant TSPO overexpression at the cortical level in the two sCJD patients, as well as thalamic and cerebellar involvement; very limited parieto-occipital activation in the gCJD case; and significant increases at the subcortical level in the thalamus, basal ganglia, and midbrain and in the cerebellum in the vCJD brain. 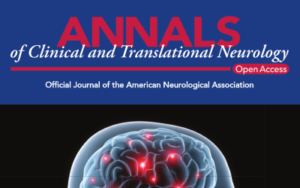 Along with misfolded prion deposits, neuropathology in all patients revealed neuronal loss, spongiosis and astrogliosis, and a diffuse cerebral and cerebellar microgliosis which was particularly dense in thalamic and basal ganglia structures in the vCJD brain. These findings confirm significant microgliosis in CJD, which was variably modulated in vivo and more diffuse at postmortem evaluation. Thus, TSPO overexpression in microglia activation, topography, and extent can vary in CJD subtypes, as shown in vivo, possibly related to the response to fast apoptotic processes, but reaches a large amount at the final disease course. 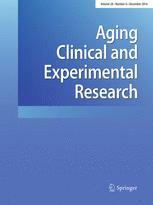 Iaccarino, L., Marelli S., Iannaccone S., Magnani G., Ferini-Strambi, L. and Perani D.
Aging Clin Exp Res 28: 561. 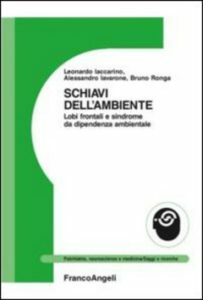 Ballarini, T., Iaccarino, L., Magnani, G., Ayakta, N., Miller, BL., Jagust, WJ., Gorno-Tempini, ML., Rabinovici, GD., Perani, D.
Human Brain Mapping. 37.12 (2016): 4234-4247. Iaccarino, L., Crespi, C., Della Rosa., PA, Catricalà, E., Guidi, L., Marcone, A., Tagliavini, F., Magnani, G., Cappa, S.F. 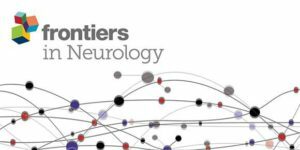 and Perani, D.
Alongi, P., Iaccarino, L. and Perani, D.
Frontiers in Neurology, 5, 2014. Iaccarino, L., Iavarone, A., Ronga B.